The ANDO™ Double Hung Lock incorporates a clean roll-over handle that won’t clash with Curtains and/or drapes. 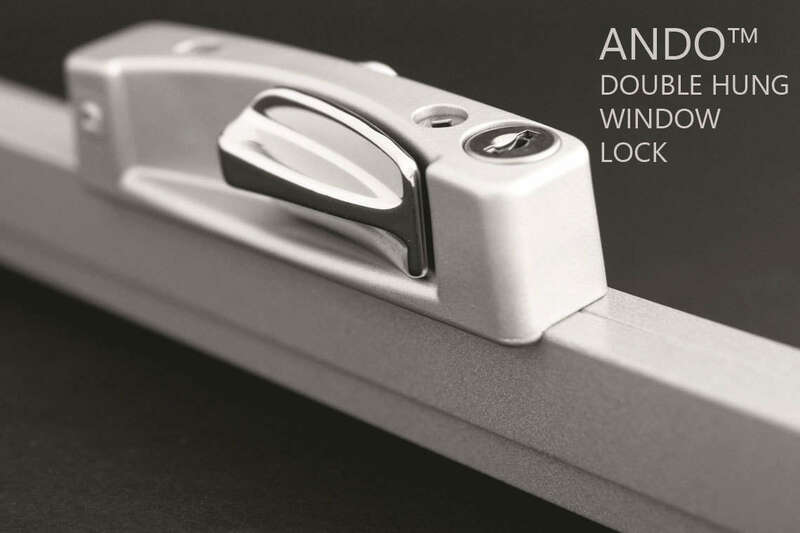 The lock can be keyed to match other ANDO™ window locks. Styling is consistent with ANDO™ products for aesthetic consistency within your home, chrome plated turn knob matches other ANDO™ products. Heavy duty die cast keeper designed to match the cam. 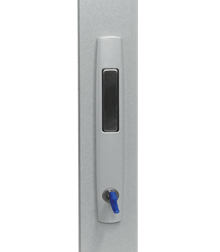 Compact streamlined window lock with recessed finger grab for neat, flush finish. Chrome handle to match to match ANDO™ styling. Push handle tab into body to slide window open. Turn key to lock. ANDO™ manual chain winders come in a large range of standard and special powder coat finishes. The corrosion resisting stainless steel chain and Polesium™ winder base protect not only the winder but also the window sash and sill. If a winder should corrode the window will almost certainly be damaged. Chain winder can be key locked. Chain winder available control knob can be folded down. The length of the chain can be reduced on heavy sashes. This reduces the chance of damaging the projecting chain under high wind loads when sash is in the open position. Winder fixed to reinforced (thickened) sections on sash and frame to ensure fixing screws don't come loose. Winder designed to suit flyscreening. The Doric Twin chain winder incorporates smooth operating systems and contemporary styling along with durability and is the most versatile chainwinder on the market, exceeding all other single chainwinders in window size capability. The inbuilt restriciton switch makes the Doric chain winders ideal for windows where limiter hardware is required. The ICON™ hardware range is a fully integrated range of 316-grade stainless steel hardware for aluminium windows and doors*. The range offers superior weathering performance and outstanding durability making it suitable for all environments. Developed for use with our high performance window systems, ICON™ incorporates a square-edge look and compliments the Commercial and Designer Series windows and doors. The ICON™ Casement Latch is designed to suit residential, architectural and Elevate™ commercial awning and casement windows. A grey nylon wedge is incorporated. This fastener incorporates square-edged and radiused styling in a bold aesthetic statement. Handle and cover manufactured from 316 grade sainless steel. The retention wedge is grey nylon and folds up to cam lever when opened. This is a significant feature in that there is no fixed keeper on the frame. Matching hinged door lever furniture. The MIRO™ range of hardware is a blend of contemporary design and function. 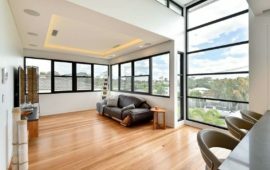 It offers a unified look from window to door. The smooth, ergonomic MIRO™ shapes offer good aesthetics as well as a comfortable hand grip. Secure and convenient locking features have been included. 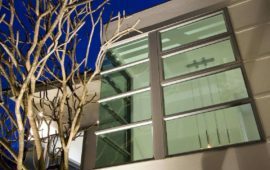 Manufactured from die-cast zinc and available in a range of contemporary powder coat finishes to match or contrast your aluminium joinery. The MIRO™ Casement Latch is designed to suit residential, architectural and Elevate™ commercial awning and casement windows. The retention wedge folds up to cam lever when opened. This is a significant feature in that there is no fixed keeper on the frame. A unique window latch that has the ‘wedge’ incorporated as a folding flap attached to the base of the handle and incorporates a push button locking option. A basic sliding window latch with key-lockable keyed cylinder. Truth™ casement / awning winders can be used to operate large casement windows. Scissor type winders used in conjunction with stile latches to secure sash. 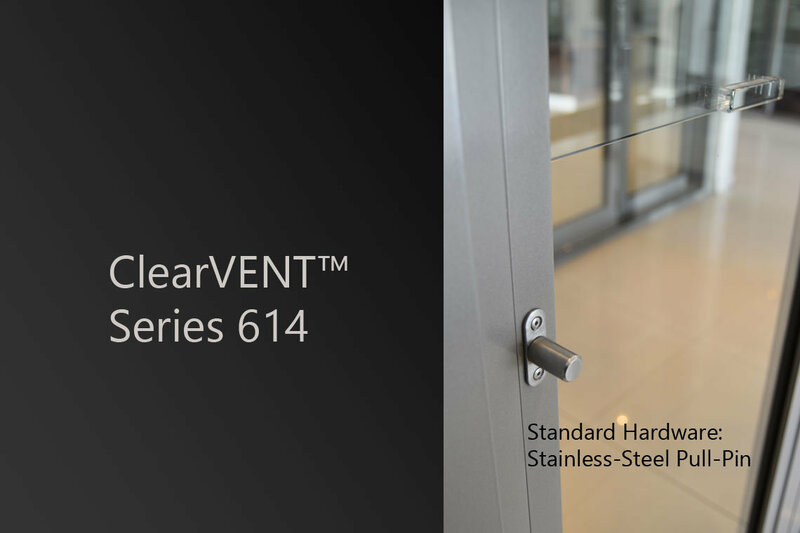 Compatible with series 824 & 826 casement windows. 33% less effort to operate than previous operators. Operates sash sizes from 550mm to 1000mm wide and 2100mm high. Sash weights up to 45kg. Fully operable with fly screens. Stainless steel components are available for coastal applications. Covered by Truth’s Lifetime Warranty.